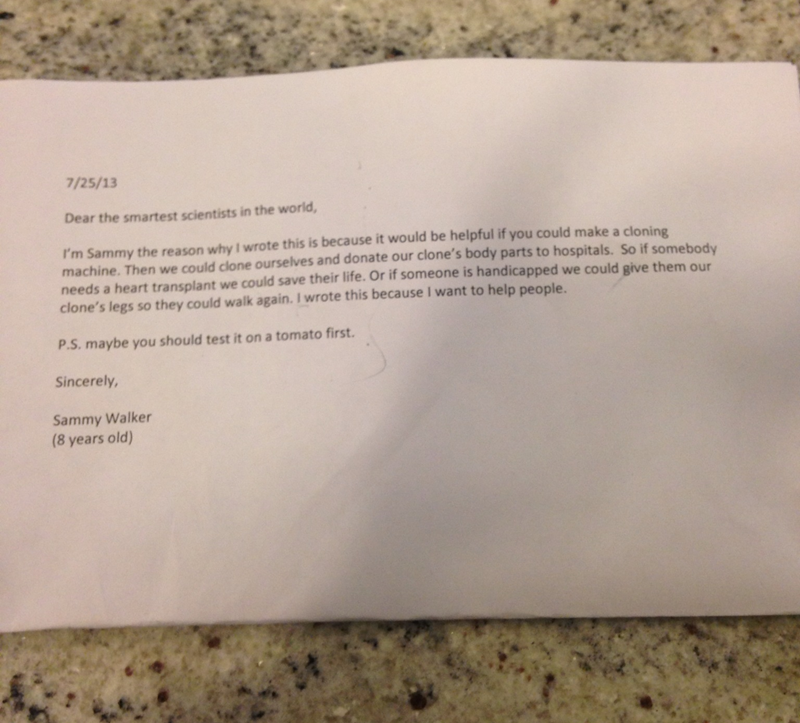 I’m Sammy the reason why I wrote this is because it would be helpful if you could make a cloning machine. Then we could clone ourselves and donate our clone’s body parts to hospitals. So if somebody needs a heart transplant we could save their life. Or if someone is handicapped we could give them our clone’s legs so they could walk again. I wrote this because I want to help people. P.S. Maybe you should test it on a tomato first. 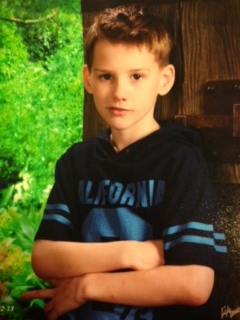 Sammy Walker is an 8 year-old boy that was diagnosed with Asperger, depression, OCD and anxiety at the age of 6. He is a very sweet, smart and special boy, that thinks outside the box. His favorite activities are puzzles, playing Minecraft and Legos. His favorite color is red, and he has two older brothers Jack (14) and Ike (10).